If there have been two constants throughout Don Fisher’s life, they’ve been medicine and photography. Rather than being separate – one a vocation, the other an avocation – the two have been integral to each other, part and parcel of Fisher’s persona. And while medicine has edged out photography for most of Fisher’s energies, that scale has tipped. “I can actually say I’ve become a photographer since I retired,” said Fisher, 71, who worked as a nurse anesthetist, until retiring in 2010. Prior to that, he had served in the military, first as a combat medic in Vietnam, then later at Fort Stewart-Hunter Army Airfield outside of Savannah, Georgia. While working in the base hospital’s operating room, Fisher befriended a nurse anesthetist, eventually returning home to northwestern South Dakota to pursue a degree in the field. “You have to gain the trust of people,” said Fisher, of his former profession, “and I felt I was able to do that.” In a calm voice with just the hint of a Midwestern accent, Fisher would explain the process, reassuring the patient – vulnerable, nervous, sometimes in pain – until he or she was as comfortable as possible. The job was rewarding but taxing, says Fisher, who found stress relief in art. “Photography was my release after I got out of the OR, which was very confining,” said Fisher, who became interested in photography as a young boy. While in Vietnam, he found others with similar interests, including a fellow medic who introduced Fisher to work by Edward Weston and Ansel Adams. Fisher bought an Olympus camera and did what most people did at the time: he took slides. Once stateside, he educated himself about photography, making side trips to Chicago or New York, where he visited the Museum of Modern Art. He also took photography classes while in college and became more familiar with the work of Alfred Stieglitz, Robert Mapplethorpe and, of course, Ansel Adams. “What Ansel Adams did, is he pointed out what we see every day from a different perspective,” said Fisher. 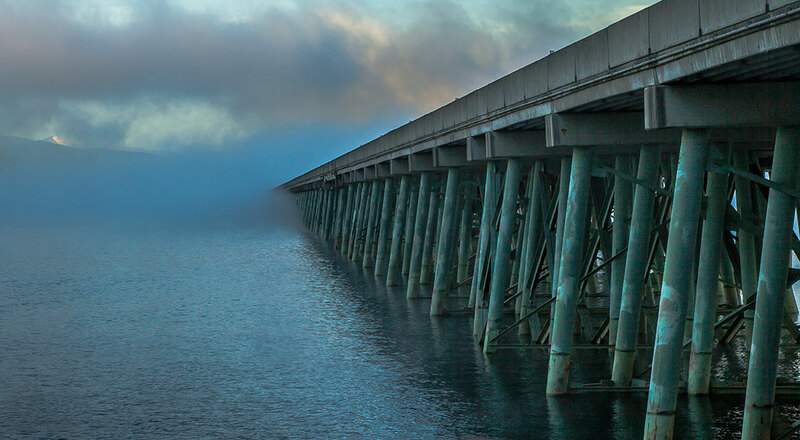 Similarly, Fisher’s “Longbridge in Morning Fog,” for example, presents a familiar Sandpoint icon in an unexpected manner. Drivers, riders and pedestrians know its lengthy expanse as they travel over it, yet Fisher shot the bridge from a boater’s perspective. He waited patiently for the clouds to break and when they did, he was rewarded with a glimpse of the distant sunlit peaks of snow-capped Schweitzer Mountain. Fisher moved to Sandpoint from Willmar, Minn., where his earliest landscape photography included the Boundary Waters, a stretch of water bordering Minnesota and Ontario, Canada, west of Lake Superior that’s punctuated by hundreds of forested islands. 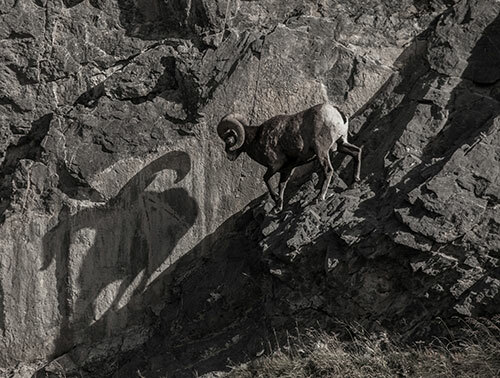 He also drew inspiration from several nationally recognized nature photographers, including Craig Blacklock and Richard Hamilton Smith. Fisher did a lot of skiing in Minnesota, which made Sandpoint all the more attractive to him and wife Cindy. After their son, Dr. Jonathan D. Fisher, a foot and ankle surgeon at North Idaho Orthopedics & Sports Medicine, relocated to the area, the elder Fishers followed suit. “I don’t know if I’ve been cold since I got here,” said Fisher, whose love of the outdoors includes the kind of rainy or snowy days that send others to a comfy chair by the fireplace. “I delight in working with inclement weather and seeing where the weather takes me and seeing how that enhances the subjects,” said Fisher. Bridges have become a favorite subject partially because they’re so prominent in Sandpoint’s landscape, but also because they are so iconic in distinguishing one region of the country from another. His “Winter Sculpture” was taken after winter storms had formed thick, oversized feathers of ice around the bridge’s piers. Fisher shoots his images in RAW format, a language the camera uses to store large amounts of digital information about the image that also enables him to print the images quite large, up to several feet without loss of quality. “I like to toe the line in keeping it as natural and as appealing as possible,” said Fisher, who uses Lightroom software to do a minimal amount of sharpening edges, enhancing contrast and adjusting color. He cites Ansel Adams’ post-photography work in the darkroom known as the zone system, more commonly referred to as dodging and burning: lightening or darkening areas of an image to enhance it. The result is powerful but subtle color. The color in “Winter Sculpture,” for example, is understated, a curious mix of sepia tones and black-and-white tones. While the browns add warmth to the overall gray cast, they also enhance the sense of the bridge’s age. In addition to low light, such as that produced by rain or fog, Fisher also favors shooting at dusk or dawn. 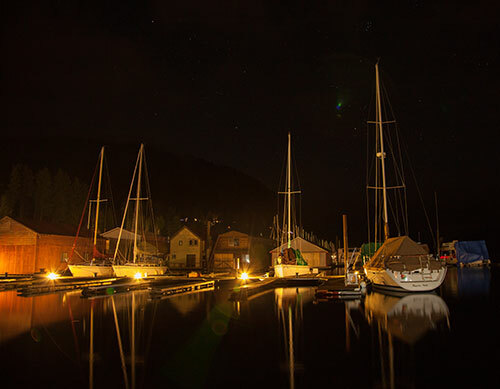 His “Sailboats Under a Comet” was the result of an eagle-watching excursion to Bayview. He gravitated instead toward the sailboats, waiting for the composition to reveal itself, for the moment that would tell the story. Not only did he get it – it’s one of his most popular images – Fisher also captured the green afterglow of a comet in the night sky. 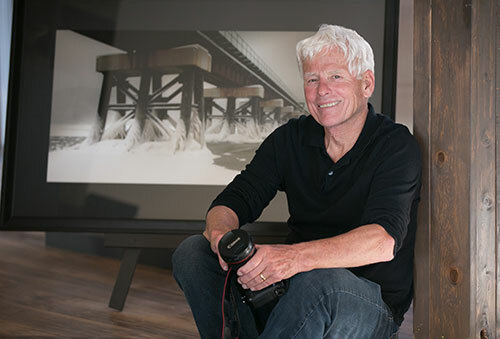 Taking his photography to the next level includes going beyond Sandpoint and branching out to different genres, such as photographing horses. 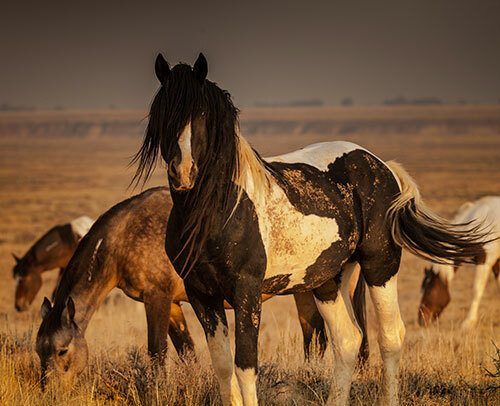 Fisher figures he’s taken hundreds of road trips in the past five years, from north to British Columbia and south to Wyoming where the wild mustangs roam and west to the scablands of eastern Washington.